That's how it is for all Z32 A33B and A34 upgrades. Z32 > A34, any day of teh week. Brake torque is greater with the Z32 set-up (larger diameter not only means more pad surface but better clamping + greater torque at the edge of the rotor for overall better braking). You'd be really upset at some higher end vehicles BBK's or even stock brakes of cars meant to be driven fast for that matter. Last edited by NmexMAX; 05-12-2011 at 07:15 AM. Nice upgrade. It looks good! Wish I could afford this lol. 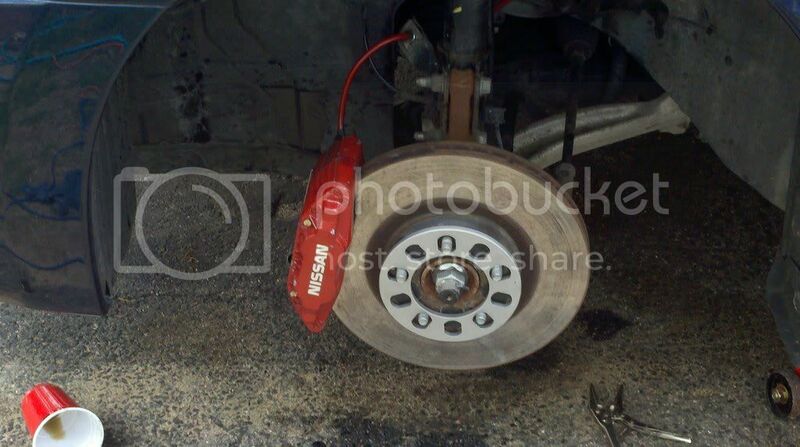 for the calipers, what year(s) for the 300zx are applicable to this upgrade path? Are you still making these? I was under the impression that you are NOT. if you are, you can save me some headaches. ooh do you just sell brackets or does one have to buy the entire kit? Last edited by HMAX08; 05-17-2011 at 03:48 AM. Why do you think I don't just give my designs away to those that ask? Designing that stuff was a major PITA and took weeks of work and about 4 revisions before it was 'as good as it can fit'. 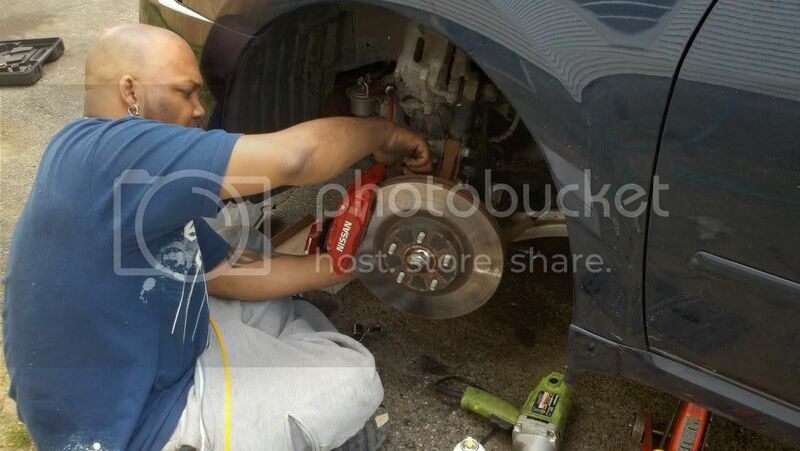 no, they're not perfect, but you're fitting a caliper designed for an 11" rotor onto a 12.6" or 13" rotor. compromises. Even my wilwood calipers do the same thing on the 11.75" rotors on my race car, and Wilwood specs them for 10" to 13" rotors. As for brackets, I have a few pieces of raw material left that I'm going to eventually build out- maybe 10 sets or so- but I don't have anything completed in stock and I'm not planning on building more once they're gone. The business and designs are for sale. It once was and still can be a VERY profitable business if someone has the desire to pick up what I had and continue with it. I'm keeping one of everything left that will go with the business/name, website, sales history, vendor contacts, inventory, fabrication jigs, and CAD files. Last edited by Matt93SE; 05-17-2011 at 08:24 AM. The business and designs are for sale. It once was and still can be a VERY profitable business if someone has the desire to pick up what I had and continue with it. I'm keeping one of everything left that will go with the business/name, website, sales history, vendor contacts, inventory, fabrication jiegs, and CAD files. ooh, I totally understand man. i didnt know people were asking you for the design but yeah I wouldnt give it up either. I just remember seeing threads that said they are no longer available so i just went with the dogbone bracket for the 13" rotors, but i saw how yours look on another car on another froum and wanted its rotor coverage, so i set out to find/make some. I totally know what you mean by PITA making those brackets its killer and thank you for making them the first time around but I didnt have a 6th gen at that time or even knew about this site . Do you know when your final sets will be made/available? As for the business being for sale, I may know a couple of people who may be interested I will pass the word around but with the economy being the way it is, people very closely guard their liquid equity. I will get the word out though. Last edited by HMAX08; 05-18-2011 at 04:19 AM. They are not that expensive, you can get em online. I wanted to use stock rotors so all my rotors match, LOL. 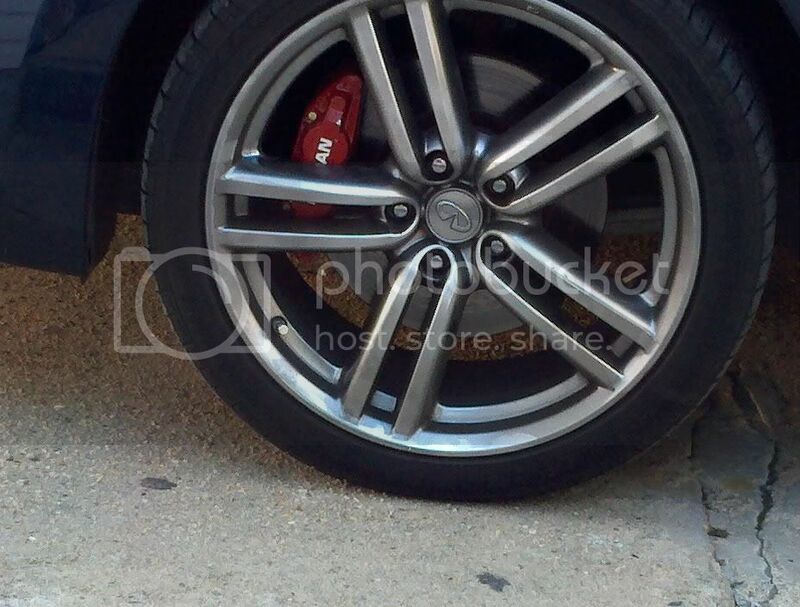 the spacers are necessary with these Z calipers? 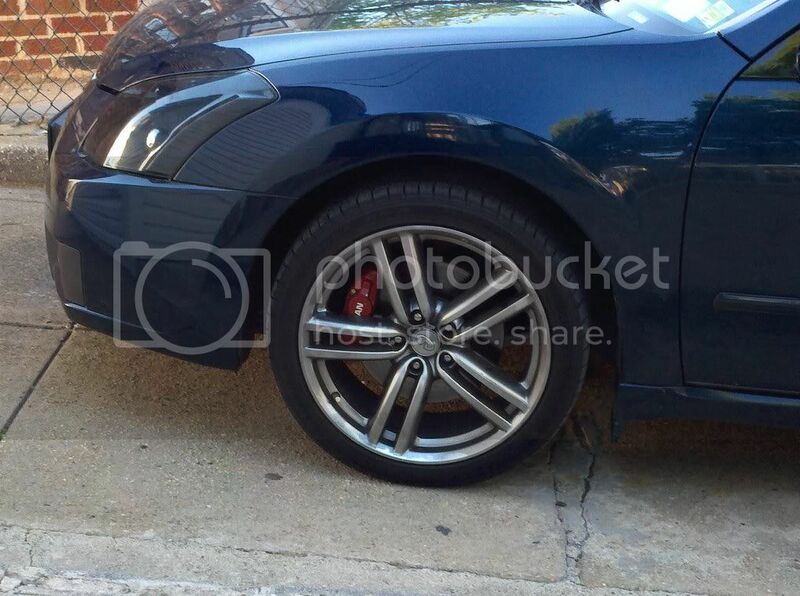 Ya the Z32 calipers are large and even the stock 300zx rims have a huge offset. Got a couple PMs in the last few days about it. currently traveling with work and don't have financials with me, but I'll get some paperwork together this week and get back to you guys in the next few days. The calipers needed are 30mm from a 1991 300ZX turbo. Looks very nice with the M rims.